Beautiful, marvelous, lovely, exhilarating, refreshing – and that is only the beginning! Yes, on the 13th of April, just about an hour or so after Dawn, which has now rolled back to 4:40 AM. as the celestial bodies rearranged our dimension of time on Earth, a thunderous lightning broke the still and silent acoustics of our surroundings and echoed the mighty Devine Command of “كن – Be” with a crackling roar that ended the crowing of the roosters and chirping of the birds in their various nesting abodes usually heard greeting the New Day. Within seconds, the puffy and dark cumulus clouds released their frozen agglomerations of the source of all life. God Al-Mighty brought down to Earth the anxiously awaited water badly needed for the survival and continuation of all species of animal and plant life. 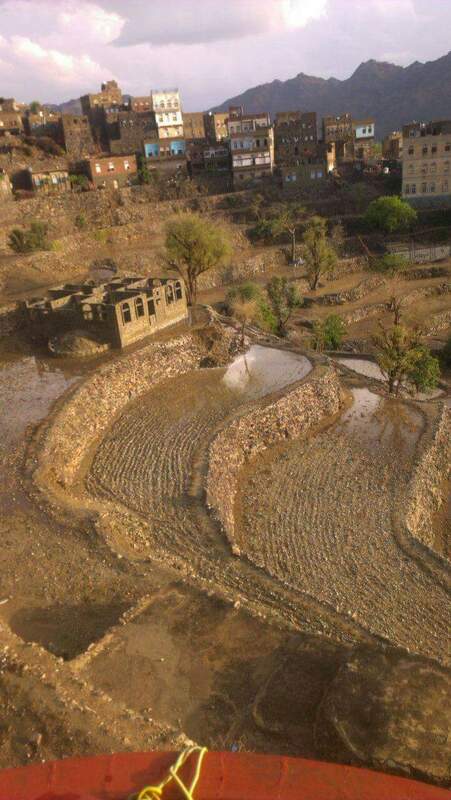 Yemen’s luck with rain over the past years of this Millennium has at best been scanty. As the skies ceaselessly issued their resounding Heavenly thunderous sounds, the sounds of heavy drops of frozen and molten falling water could be heard with Increasing momentum until the sound of their beat achieved a steady rhythm. The final beat of ratat of rain and hale continuously bounced in our ears from the glass and wood carpentry of our windows. 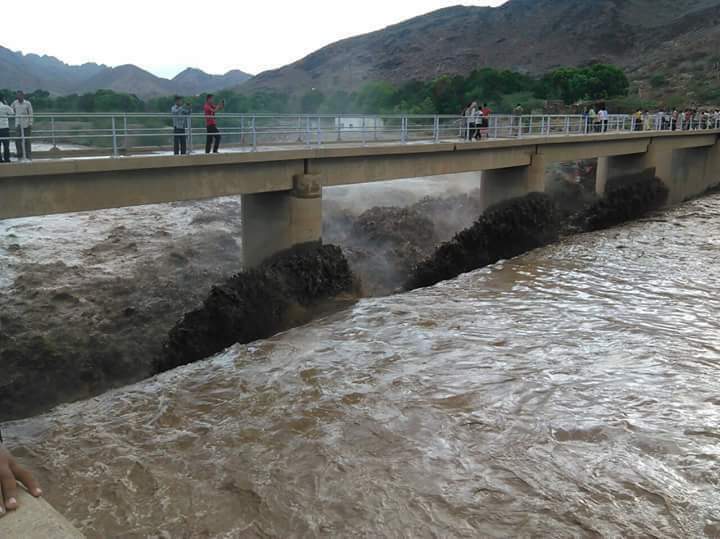 For over an hour then, and eventually for days, God’s mercy continued to be manifested in winding streams of runoff that gave all the terrain around us a far more invigorating sign that the Lord Al-Mighty has heard the beckoning of the Yemenis to God – Allah, as they have endured the most flagrant, cruel and sadistic aggression and senseless arrogant barbarity of man against fellow man for more than a year. 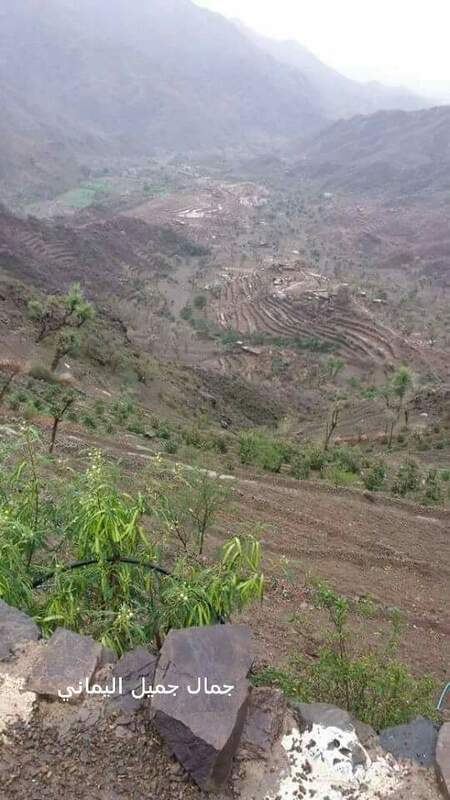 Surely their Lord will simply not allow the meek to suffer any longer and will harness His powers to let the Earth produce the nutritional needs heretofore deprived to the proud Yemeni people, who continue to be subject to a merciless siege and blockade that denies the people of Yemen access to food staples and other life nourishing commodities, while the international community finds it more lucrative to offer silence at the highest price. The Yemenis know what their Earth could produce and saw this as a great omen that God’s mercy is far more powerful than all the facade of strength and power that faithless people blinded by imaginary visions of grandeur tend to assume they possess, and thus gives the latter the power and right to disturb the peace and tranquility of their fellow men and to deny them the right to freedom, life and the pursuit of happiness. 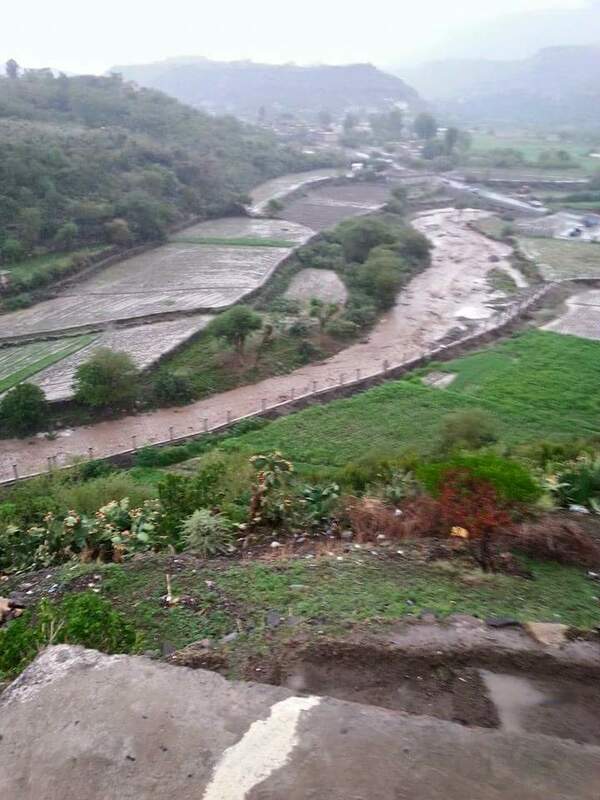 The rains are a blessing of the Creator with unbelievable powers of turning human spirit to an affinity of unbreakable bonds between humankind and the All Powerful Master of our universe and all universes beyond ours and the Author of the destiny of all – the meek and the strong – the rich and the poor. 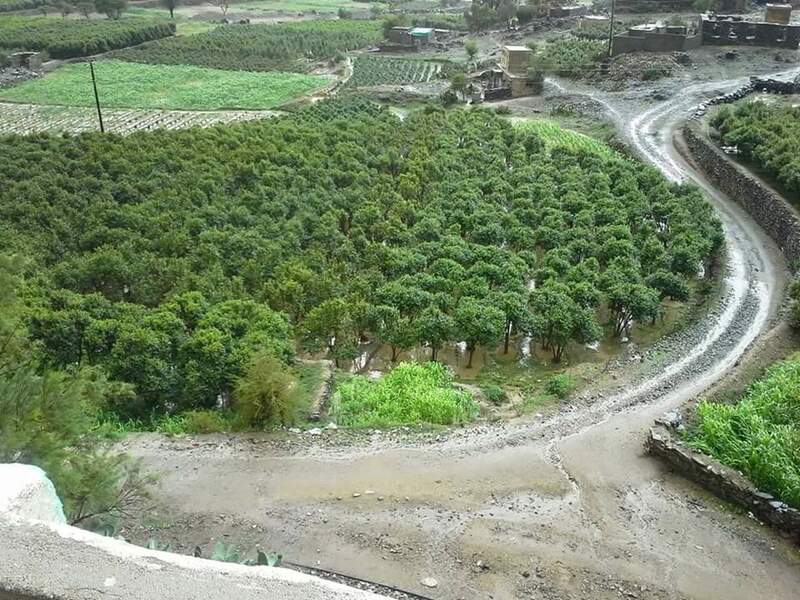 The recent abundant rains In Yemen have produced a great joy amongst most Yemenis, not so much because they will yield great produce, but rather because they are an unequivocal communication from God Al-Mighty that yes, I hear you and I am with you. 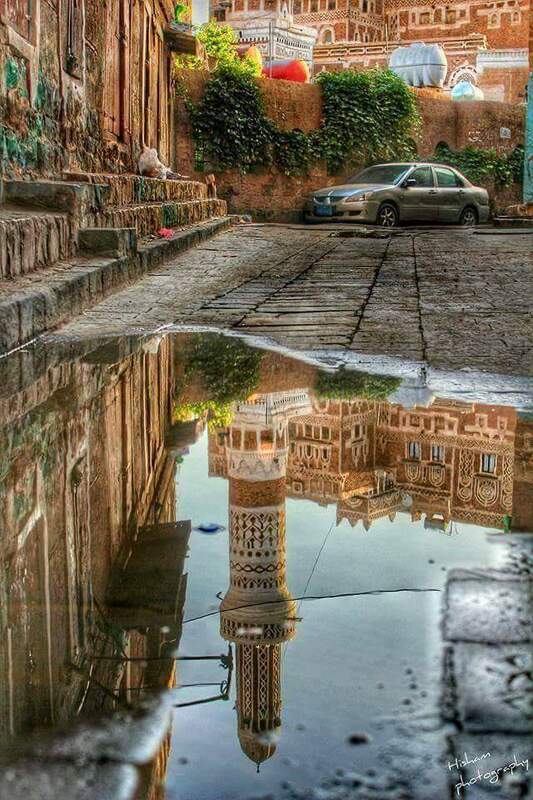 This is how Yemenis understand the workings of the universe – a direct consequence of their faith and trust in Allah. The conceptualization of faith to Yemenis is far more intricate and deeper than most believers can comprehend, let alone non-belivers. The Yemeni people have a feel of the workings of the Universe, because they are convinced that all elements and all forces and all synergies that these elements and forces operate under submit to His Authority and Power. 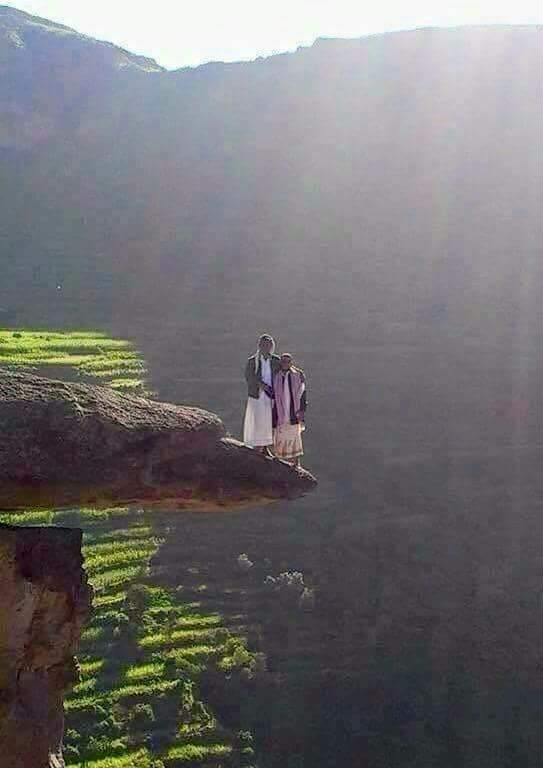 It is a remarkable power of faith very few people in the world can sense, because the Yemenis refuse to forsake this faith for any reason, as a life without faith is a void – a vacuum. 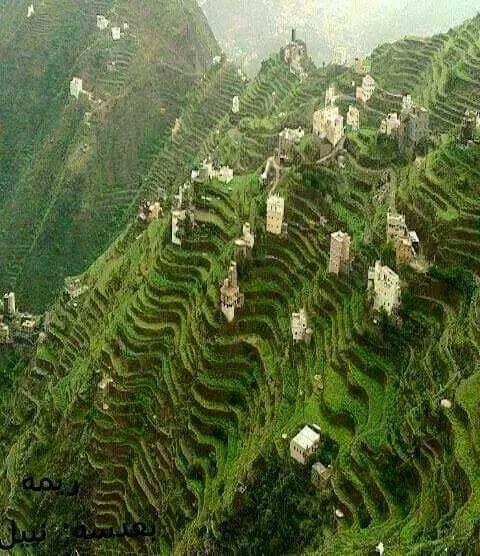 For Yemenis this faith is rtheir heir only cause d’etre. (لَقَدْ كَانَ لِسَبَإٍ فِي مَسْكَنِهِمْ آيَةٌ ۖ جَنَّتَانِ عَنْ يَمِينٍ وَشِمَالٍ ۖ كُلُوا مِنْ رِزْقِ رَبِّكُمْ وَاشْكُرُوا لَهُ ۚ بَلْدَةٌ طَيِّبَةٌ وَرَبٌّ غَفُورٌ) صدق الله العظيم. No people on Earth were given such special mention in the Qur’an. 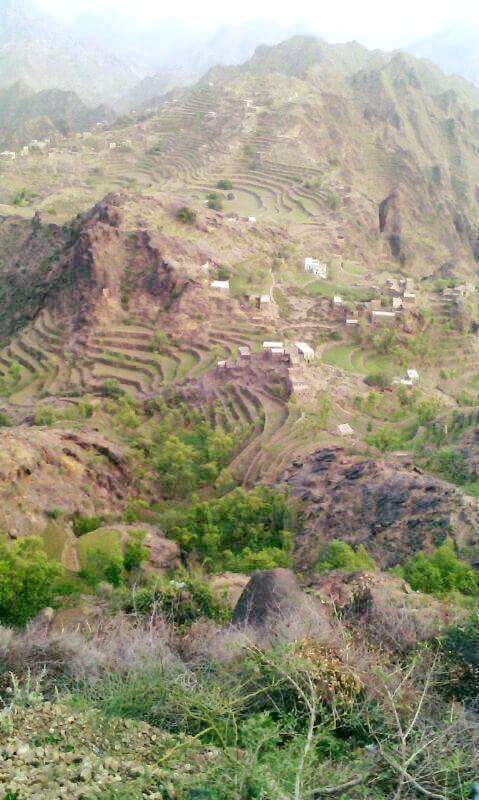 Ineed it is easy to see that the taith in God of the Yemenis emanates from strong spiritual down to Earth foundations. 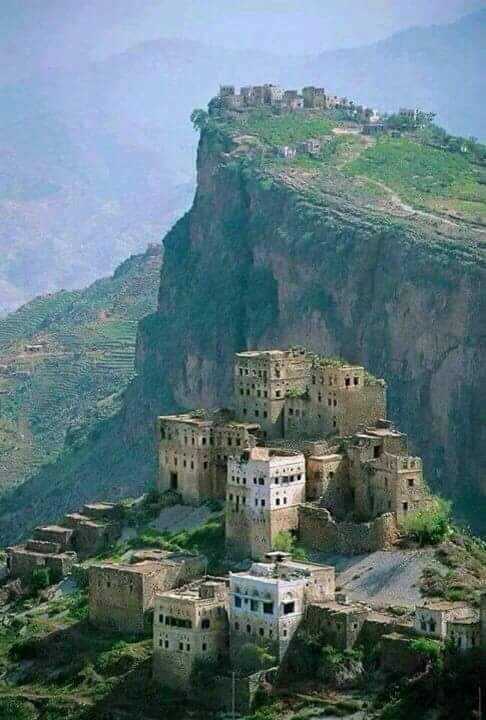 So, thanks to the Mercy of Allah, one sees in Yemen a new turn on life after a year of unceasing cruelty and suffering from an unholy aggression and pitiful drought. 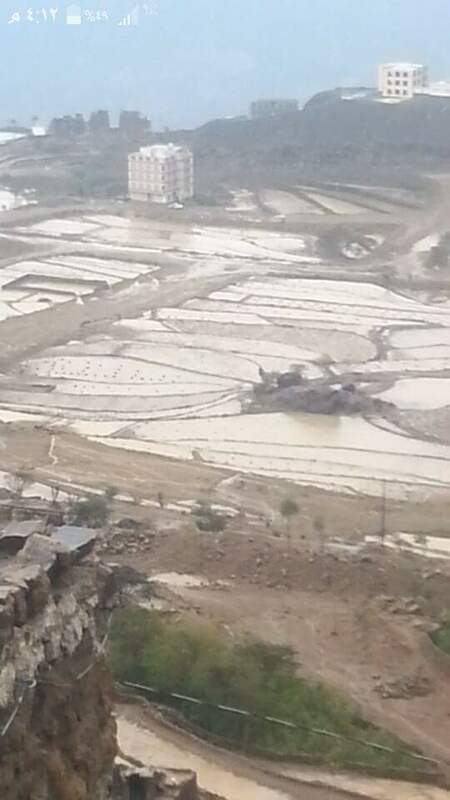 The sky is the limit now and one should be prepared to watch the tide turn as Yemenis are rejuvenated by the blessed rains God has recently endowed them. The unrecedented downpours of recent days are bound to reinforce their determination and certainty that their cause is just, legitimate and in keeping with the God ordained commitment that the “meek shall inherit the Earth”. 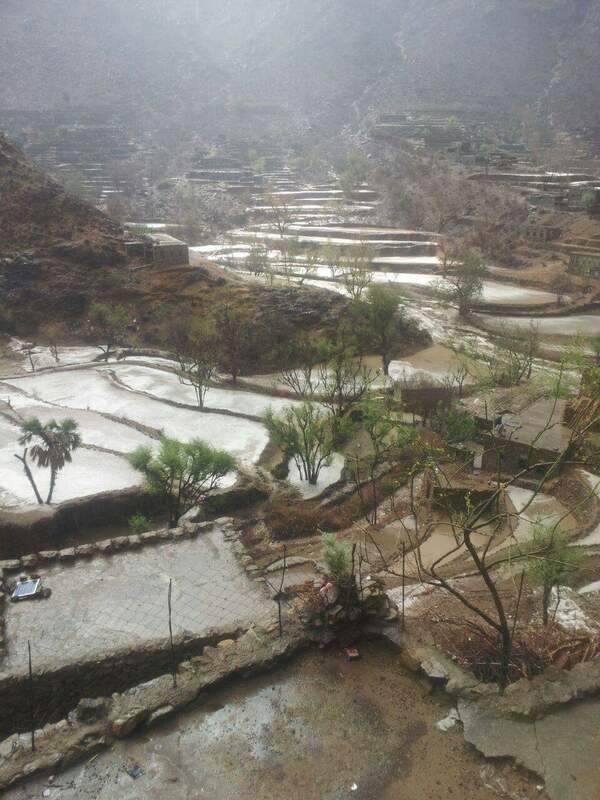 But, as far as Yemenis are concerned, one never should forget, where does that rain come from? Every drop of rain that one sees in these pictures are the ultimate product of numerous natural interactions managed by the very Al-Mighty that that created mankind, the Earth and the Universe at large. Alhamd li Allah – Thanks to Allah – Thanks to God. This entry was posted in Religious Freedom in Yemen, Saudi Aggression on Yemen, Uncategorized, Yemen, Yemen Rains 2016 and tagged Ancient Sheba, Ancient Yemen, Common Sense, Faith of Yemenis, Flooding in Yemen, Hassan Al-Haifi, Rain in Yemen, Religion in Yemen, Saba, Saudi aggression, Sheba, Yemen, Yemen blockade, Yemen floods, Yemen Rains. Bookmark the permalink.